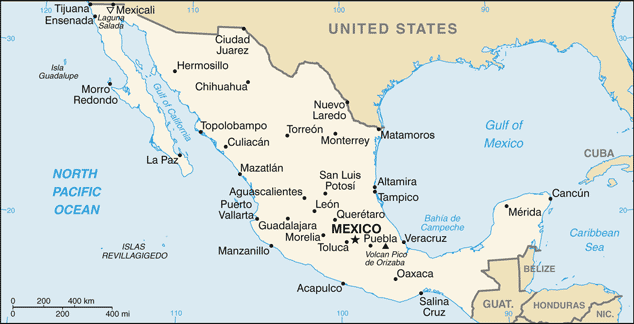 Our 2009 trip to Central America began in the Mexican states of Yucatan and Quintana Roo, the great peninsula on the eastern side of the country that juts into the Gulf of Mexico and the Caribbean Sea. There we ate well, saw lots of turtles and tropical fish, had our first encounter with the ancient Maya, and learned to shed the lisping Spanish pronunciation we’d acquired in Spain. Oh, and we got to snorkel in a cave.